From the sea to the skies, Anantara Kihavah Villas’ perspective on the Maldives panorama extends more vertically. Starting from its celebrated underwater dining, the Sea, Fire, Salt, Sky dining concept is capped by the most elegant roof deck in the Maldives. 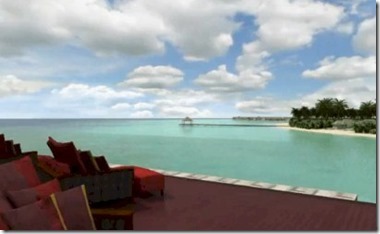 I’m a big fan of lofty vistas in the Maldives – flying over the atolls, Trader’s Azur, Kandooma’s own deck. But Kihavah elevates this experience to new heights. This post has prompted me to add a new category tag – “view”.